Cuttack:7/8/18:Autobiography of H.N. 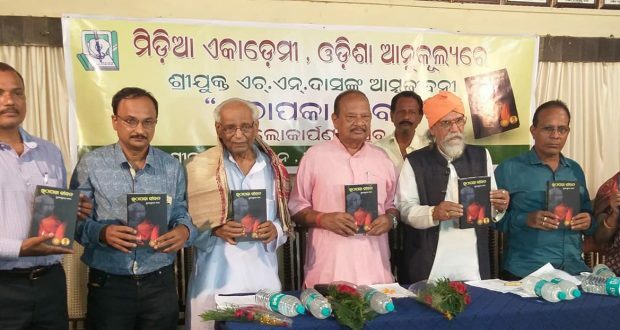 Das (Hruday Nath Das, born 1928), one of the most respected photo-journalists of Odisha titled ‘Utha Paka Jeebana’ was released on 6 August 2018 at Cuttack. H N Das has worked as a free lance photo-journalist for over 60 years for several Odia, English and Hindi newspapers including English daily Amrita Bazar Patrika and Odia Daily Samaja. He has covered several important events and issues and cliked many iconic pictures. He has been a mentor of two generations of photojournalists in Odisha.